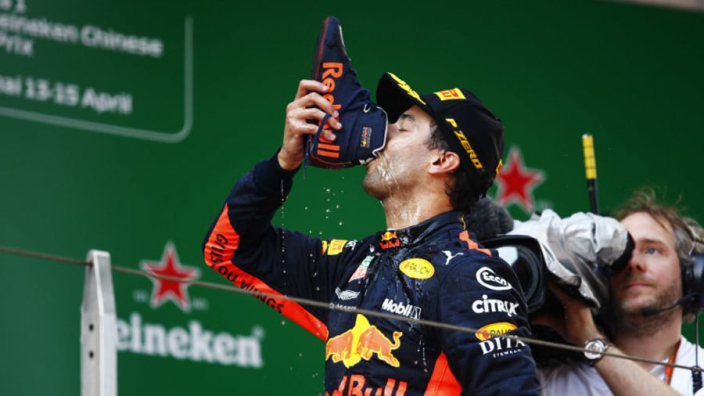 Daniel Ricciardo said his Chinese Grand Prix victory provided him with a good day to use as a bargaining chip as he plots his future in Formula 1. 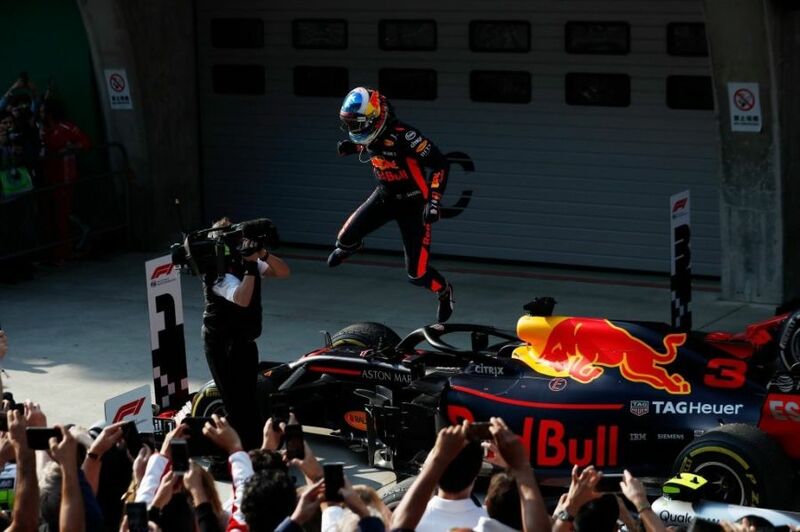 With his Red Bull deal winding down this year, Ricciardo delivered another reminder of his talents with a stunning win in Shanghai. Brilliant, brave overtakes down the inside of Mercedes pair Lewis Hamilton and Valtteri Bottas were the highlights of Ricciardo's charge from fifth to first in the space of 10 laps as he secured his and Red Bull's first win of the season. Bottas' Silver Arrows seat could be free come the season's end, as could Kimi Raikkonen's at Ferrari. Both teams are reportedly keen on Ricciardo, who wants to find the drive which gives him a genuine title shot. Ricciardo has previously said that a slew of early-season victories could convince him to stay at Red Bull, but his options remain open after his latest grand prix triumph. "Obviously getting a win is nice, but I guess the plan was to try and hold off a little bit," he said. "Today we had really strong pace in the second half of the race and I think once we get to Europe it will probably start to balance itself out. All three teams have had their moments so far this season. "It's interesting, it's fun, and I don't think today will hurt my position. It's a good day." Victory looked unlikely just before qualifying on Saturday, when Red Bull's mechanics were putting Ricciardo's car back together following a blown turbo. Ricciardo scraped through Q1 and made it to sixth on the grid, but his Saturday struggle followed his car suffering a complete shutdown after just one lap in Bahrain. He added: "This sport's crazy, a week ago I was with my head down after two weeks and frustrated at the sport, frustrated at all the variables that are involved in the sport. "Sometimes I question why I chose this sport because there's so many other things sort of out of your control and it does get you down a lot. "But that when you get a day like this, it's worth 50 of those bad ones."